Home / BLOG / Keep the home fires burning with a custom fire feature this fall. 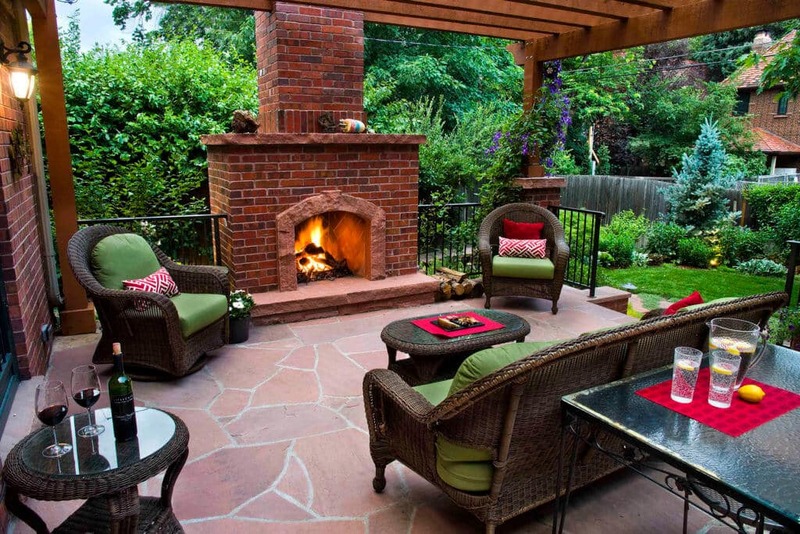 As fall quickly approaches, consider adding a fire feature to your outdoor living space. A fire feature is an investment with a huge immediate return in both beauty and function. Often designed as a statement piece and visual focal point, a fireplace also increases comfort and livability. What could be better? 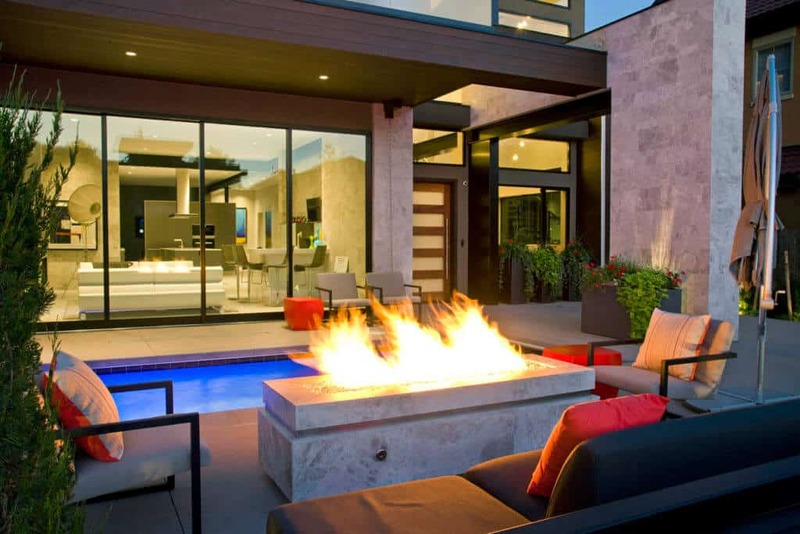 A fire feature can be a bold statement piece that adds style and beauty to your outdoor living space. Fire features come in all shapes, sizes, and materials, so finding one that matches your personal style is easy and makes a huge difference! Choose a grand brick fireplace with your Colorado mountains as a backdrop, or a smooth stone fire pit as a central point around which to gather. 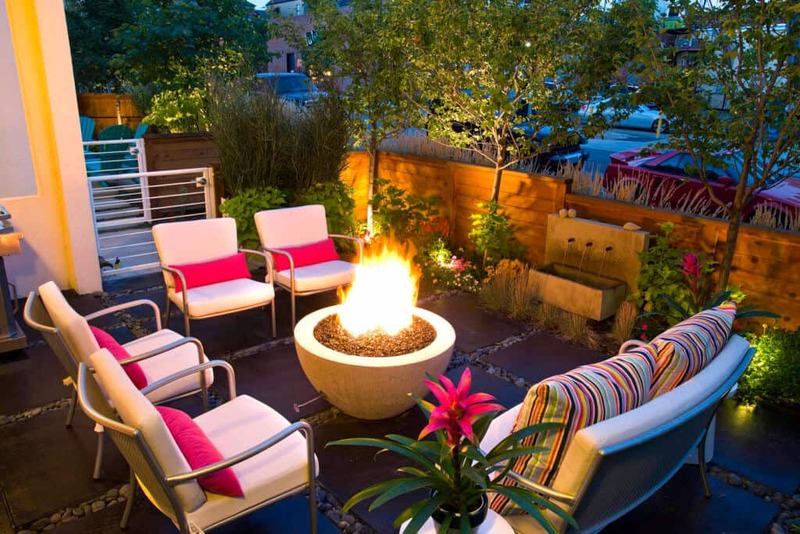 A fire bowl can add elegance or whimsy to your space. Perhaps a gas fire pit table would reinforce your theme best. Remember that a fireplace does not need to take away from the scenery surrounding it, rather it can enhance and integrate seamlessly into your landscape. Fire features are not only beautiful and eye-catching, but they also serve many functions. A fireplace can keep you and your guests warm throughout chilly fall nights, making an outdoor living space enjoyable all year round. Fire features can also be used for cooking. Roast marshmallows in a fireplace, or place a grate or grill over your fire pit for grilling up full meals. You may even consider a brick pizza oven for both a decorative and delicious option. Seating around or in front of your fire feature will make entertaining easy and cozy. Contact the experts at Lifescape for a fire feature inspired by your landscape and personalized to meet your entertainment needs. Autumn is here! It’s time for brilliant fall seasonal color.